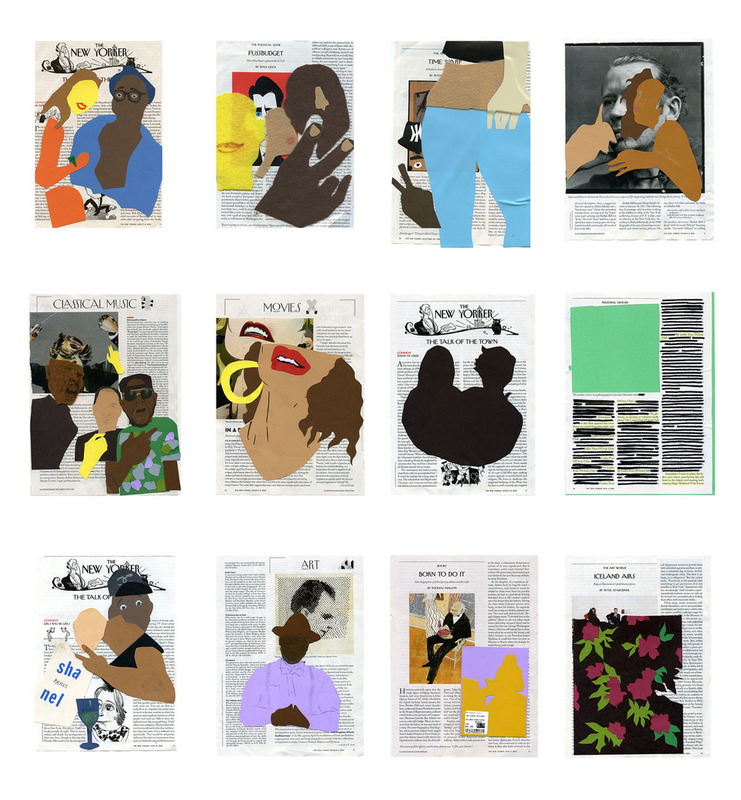 This is a series of collages I began to make in the fall of 2012-‐‑using New Yorker Magazine pages, redacting text, collaging directly on to the magazine pages. I had been looking for a way to express what I felt as a first generation Dominican New Yorker who also happened to grow up and become an academic/artist. The magazine itself has become a symbol of New York City taste and intellect. The added figures are abstracted Instagram pictures of my friends or riffs on images within the magazine. The playfulness and seemingly nonchalance of the material and subject matter is an ode to the magazines mascot "the dandy", a symbol of leisurely hobbies/refined language and fashion.